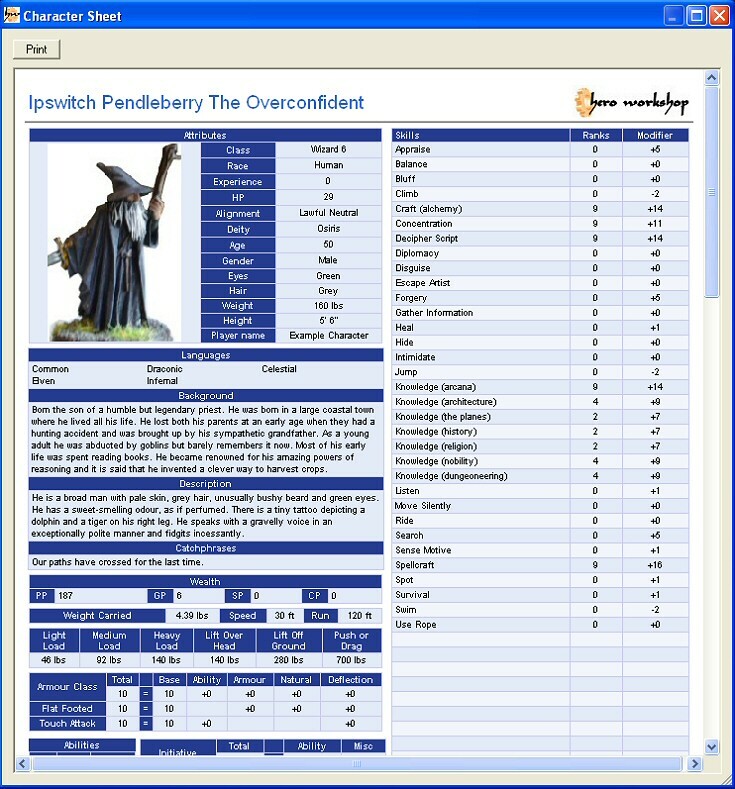 Now that you have entered and selected all the character information, you can view and print out your character sheet ready for gaming. Hero Workshop makes viewing and printing easy by giving you the option at the bottom of every dialog. 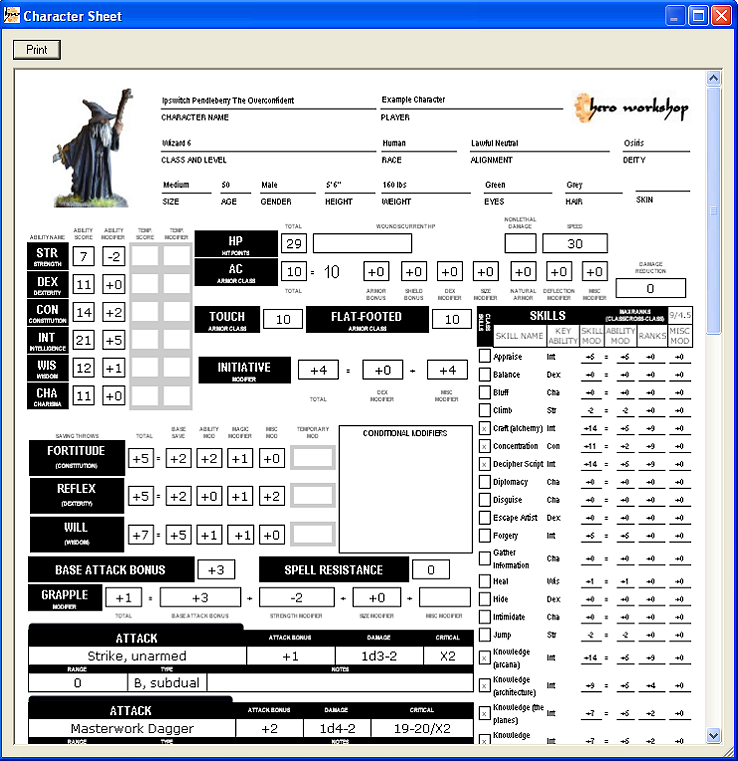 You have a choice in the design of the character sheet you choose for viewing and printing your character sheet. Single page sheet: This character sheet design is particularly useful for NPC (non player characters) and also when you are very familiar with your character and only require high level information. 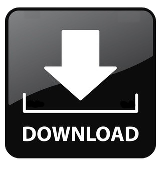 Classic sheet: This is the sheet for those of you who prefer a more classic design in a black and white format Note: You can create your own custom sheets by creating an html template file for Hero Workshop to insert values into. This is the default setting and it shows detailed information about your character and descriptions. This character sheet design is particularly useful for NPC (non-player characters) and also when you are very familiar with your character and only require high level information.